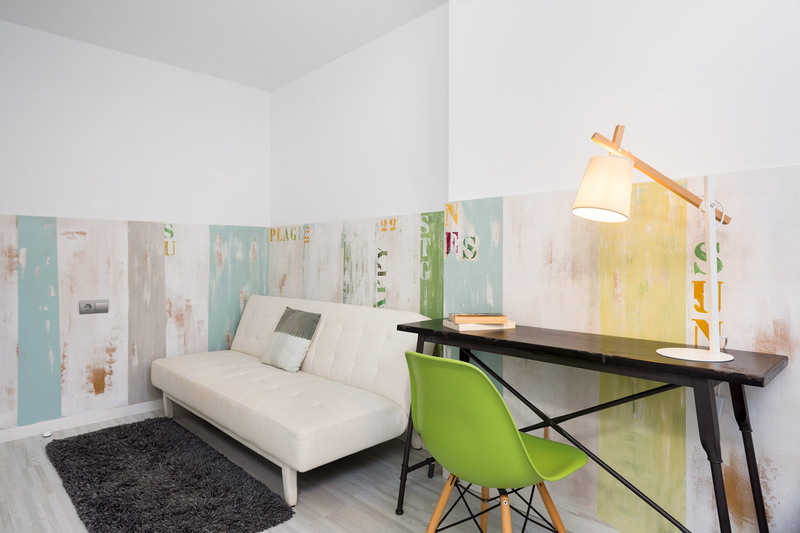 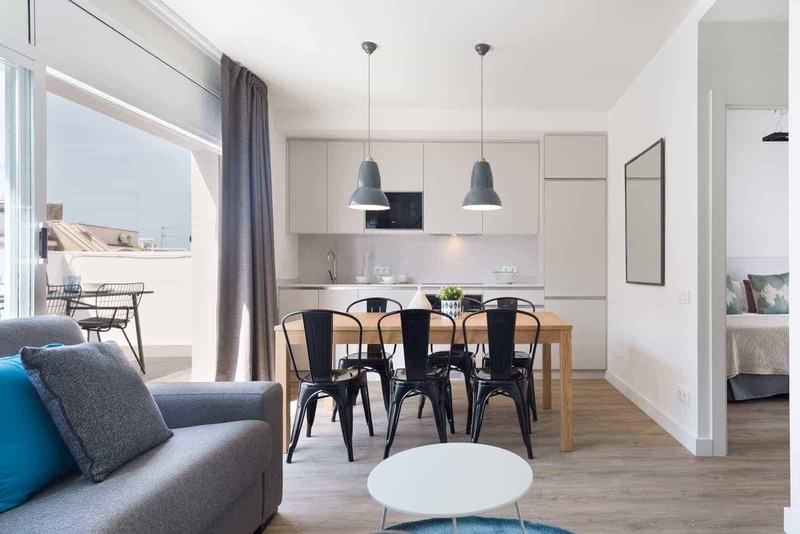 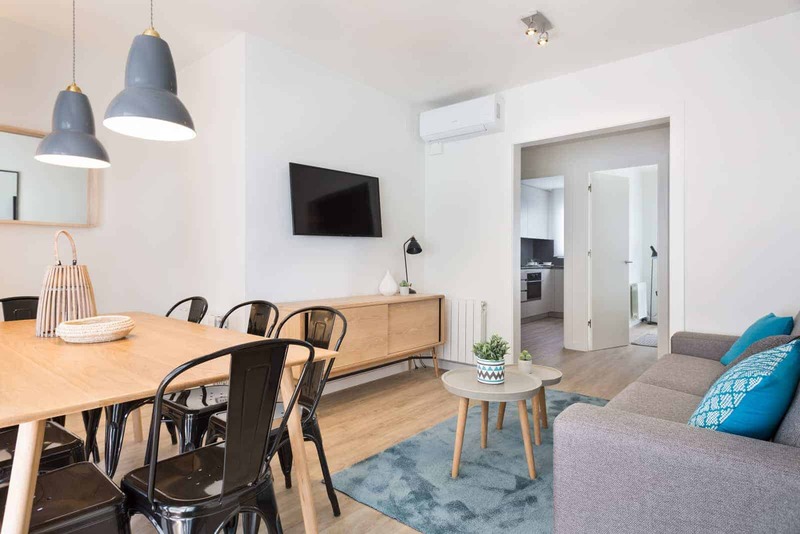 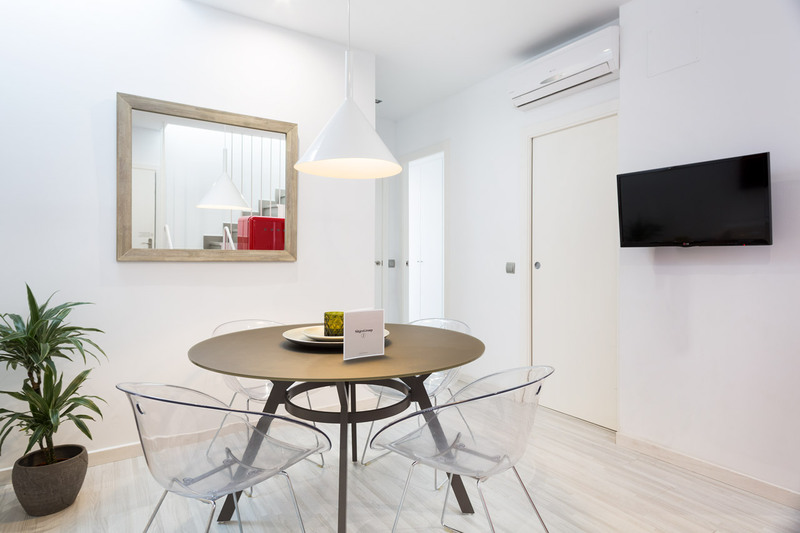 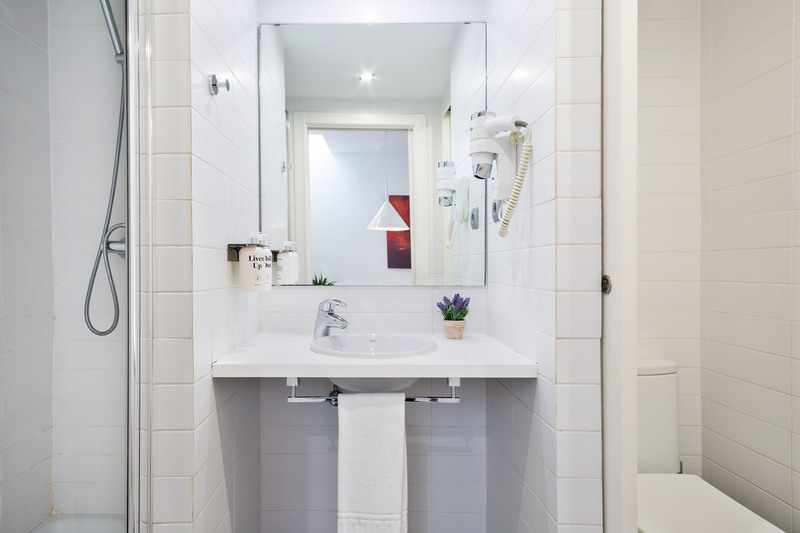 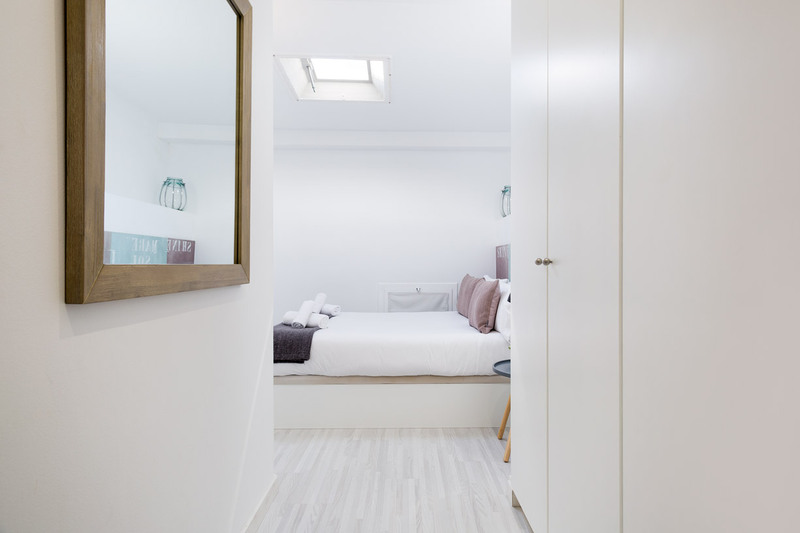 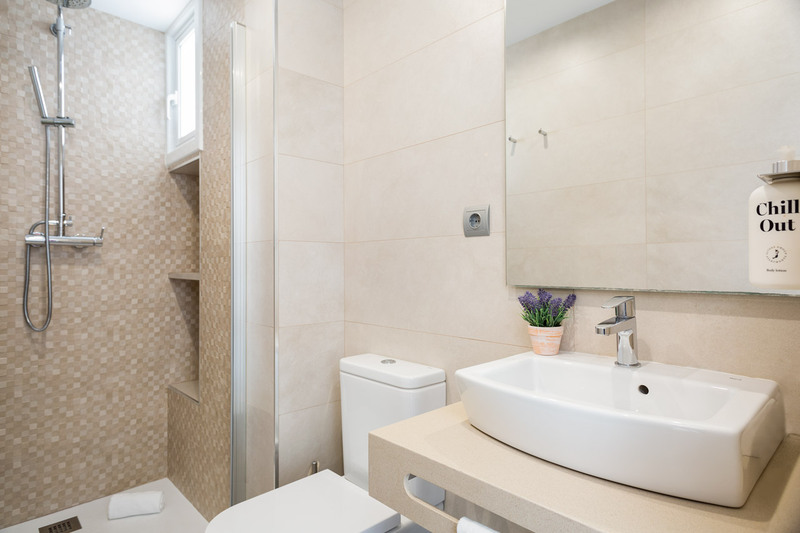 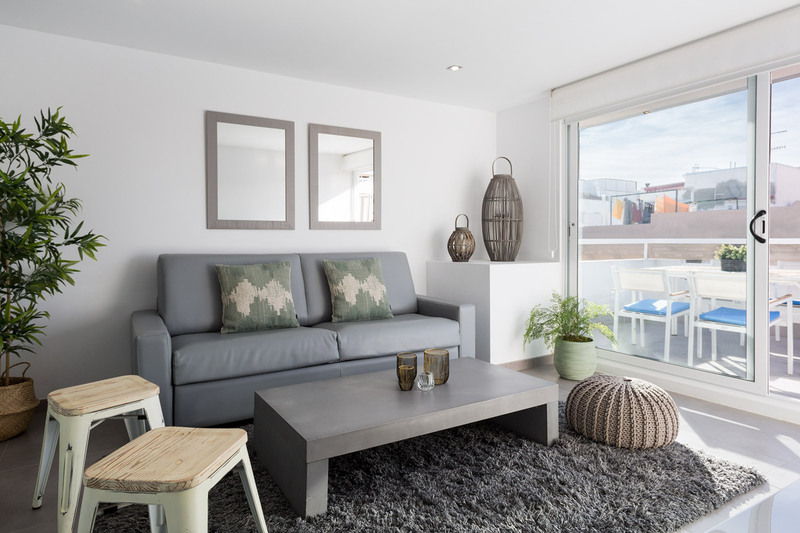 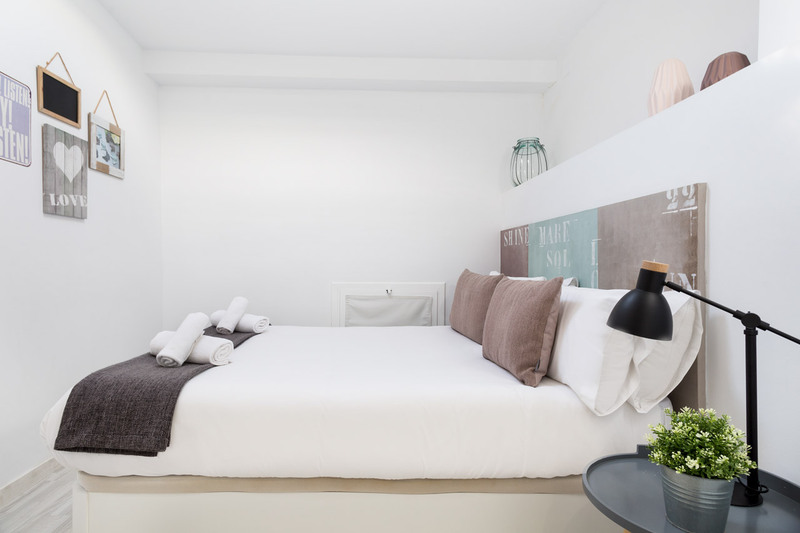 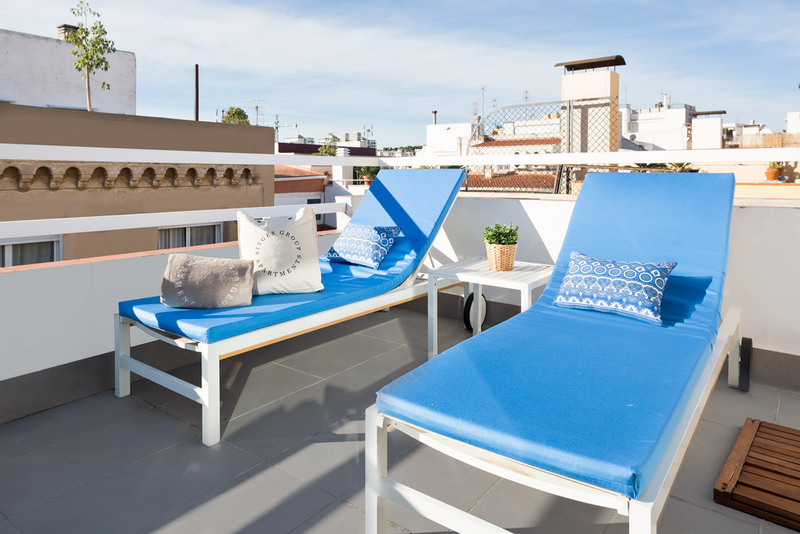 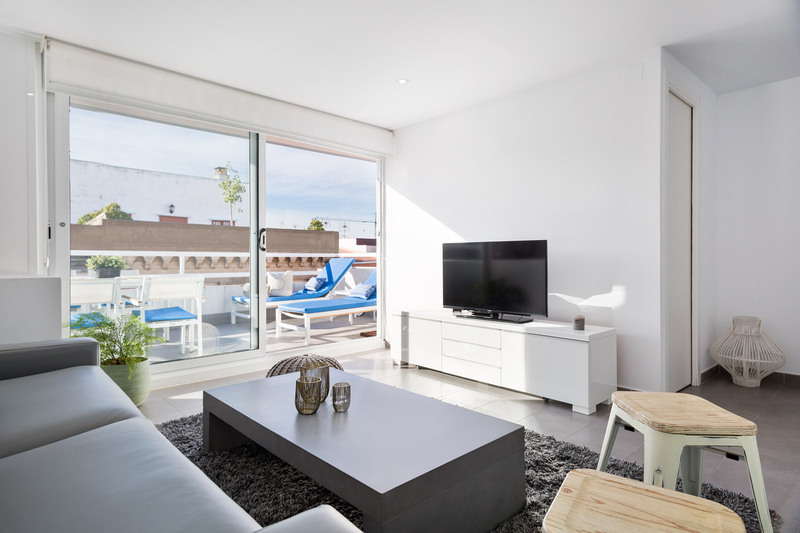 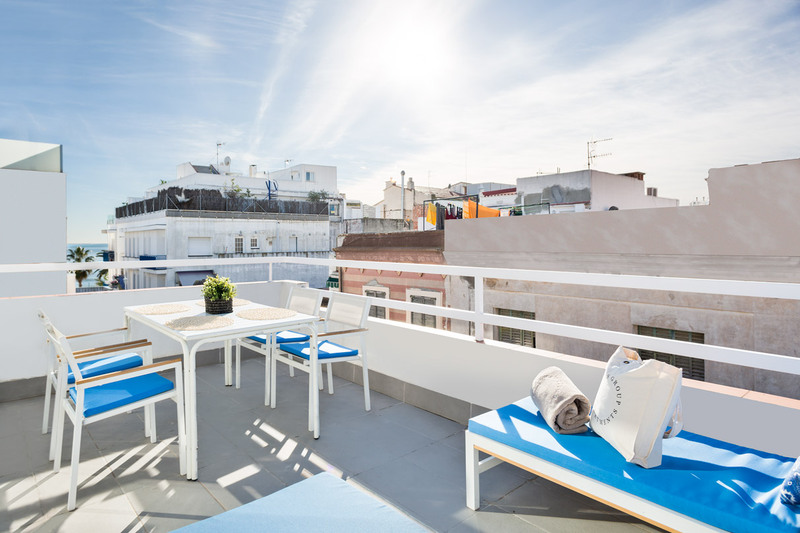 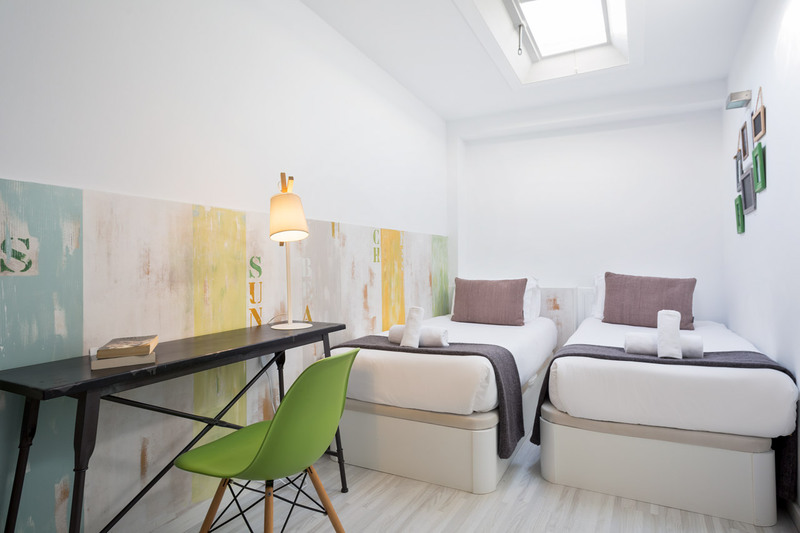 In the centre of Sitges just minutes from the beach, our Blue & White Penthouse 2 apartment gives you easy access to the streets of this beautiful city and the lovely waters of the Mediterranean Sea. 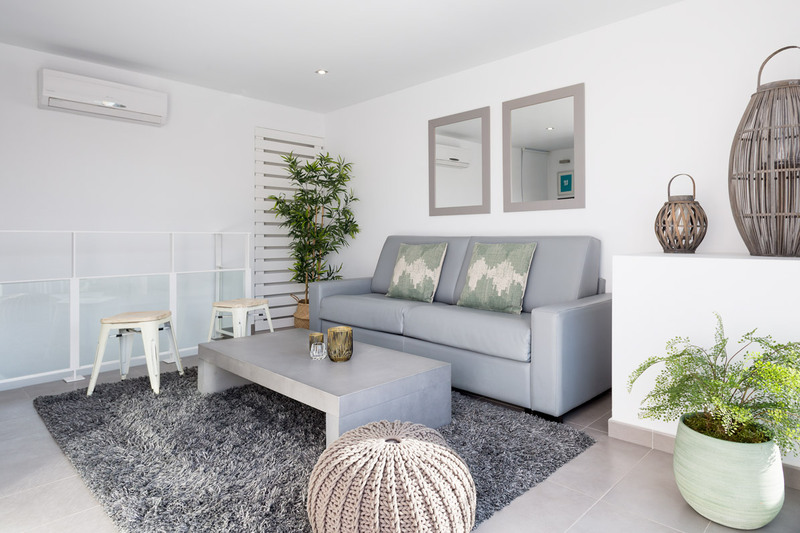 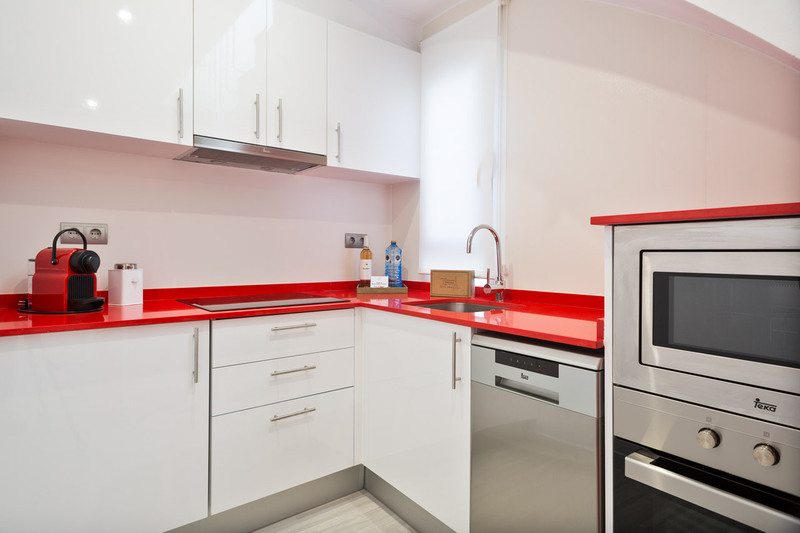 This 80-m2 two-storey apartment has 2 double rooms (one with capacity for three people as it has a single sofa bed), a living room with a fully equipped kitchen and a second living room upstairs with a double sofa bed and partial views of the sea. 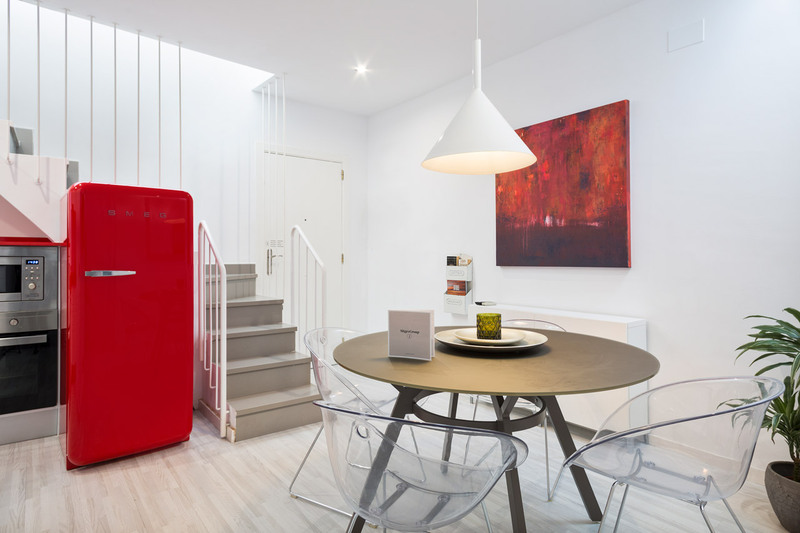 You won’t want to go downstairs.